As a social entrepreneur, Shawn Seipler is committed to focusing his business, management and leadership skills on advancing humanitarian, social and environmental causes. His commitment to excellence and passion for corporate social responsibility led to the creation of Clean the World in 2009. With impact results in 100 countries, Clean the World is a social enterprise that offers sustainable, socially impactful programs to a global marketplace. Clean the World has a goal of preventing millions of deaths caused by acute respiratory infection and diarrheal disease, while diverting hundreds of tons of landfill waste. Clean the World’s Hygiene Kit Build program engages corporations, meetings, and universities to produce “green” events that offer impactful, socially responsible activities to thousands of attendees, employees and students which positively impact local and global communities with improved hygiene. Shawn has been featured on CBS Evening News, CNN, Fox News, National Geographic, Yahoo Finance, The Washington Post and NPR. He was recognized by The Orlando Business Journal as one of the 2015 “40 Under 40,” received the 2015 Don Quijote Excellence Award, and was the MLK Drum Major Award Winner. He was named the 2014 “Hero of the Year” by Orlando’s News 13 and “Entrepreneur of the Year” by I-4 Business Magazine. 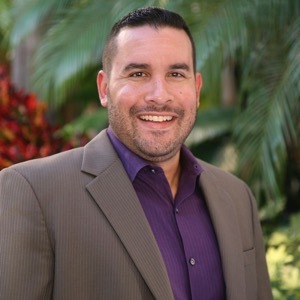 Shawn is a board member for the Orlando Chamber of Commerce and served on the City of Orlando’s Sustainability Task Force and Project DTO Task Force. Shawn is an Advisory Board member for amaZulu, a woman owned, sustainable building materials organization. He is an executive board member of Florida Youth Football & Cheer League (FYFCL) and President of the East Orlando Jr. Predators, an AAU youth football and cheer club. Under Shawn’s leadership, Clean the World was named one of the 50 Florida Companies to Watch for 2014, and won the 2011 Sustainable Florida Award for Best Practices. Clean the World is comprised of 6 entities, Clean the World Foundation, Clean the World Canada, Clean the World Asia, Clean the World UK, Global Soap Project, and CTW Global LLC. The enterprise has recycling and operations centers in Orlando, Las Vegas, Montreal, London, Hanover, and Hong Kong.